YouTube is very popular platforms for sharing video. Millions of videos are available on YouTube. So many people upload their video to YouTube every day and millions of viewers visit YouTube channel. So the YouTube is platforms for huge visitors. 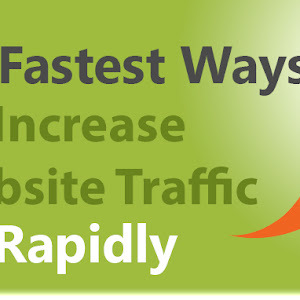 Here you can drive huge traffic to your website. 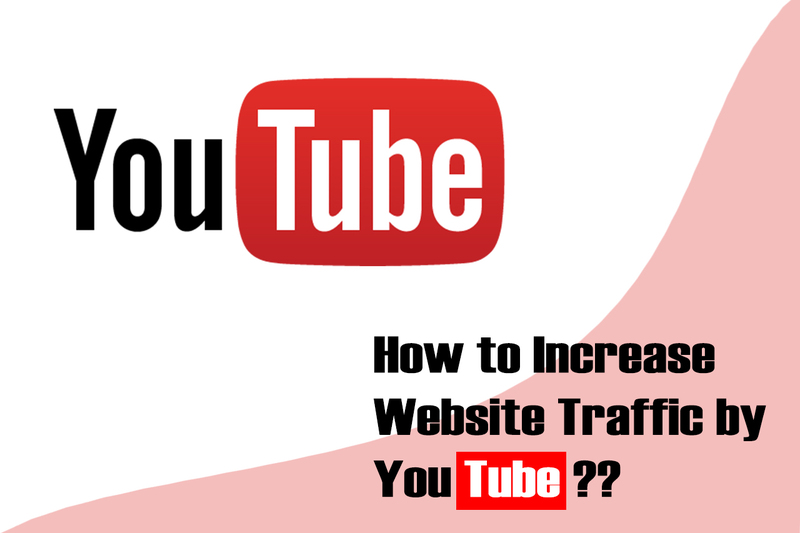 Anyone can increase website traffic by uploading a popular video on YouTube. 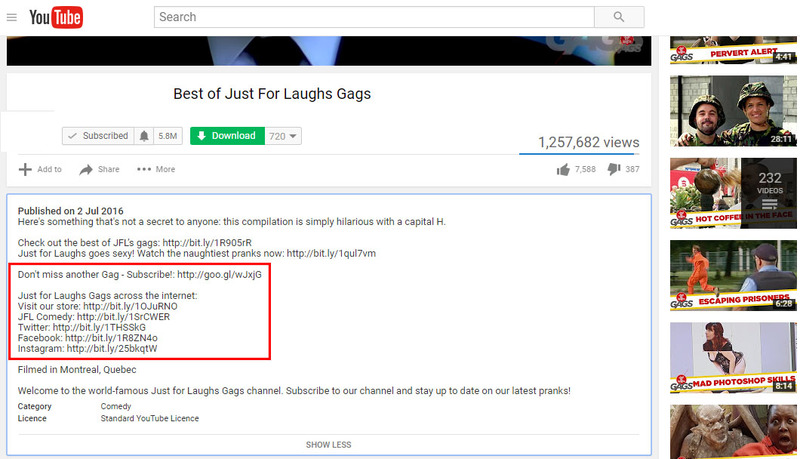 YouTube also a great source of quality backlinks. Here I will discuss how to increase website traffic by YouTube video. 1. 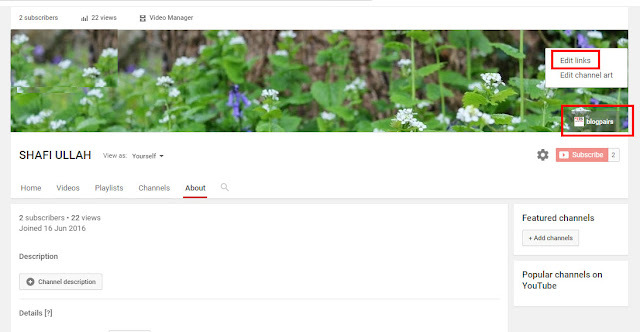 Create a YouTube channel for your website name. If you want to present you on Google search engine, you have to open a YouTube channel by your blog name. Supposed our blog name is blogpairs.com. So we open a YouTube channel by YouTube.com/blogpairs. If anyone searches on YouTube or Google by the name of blogpairs, he can show our blog YouTube channel. But it's not possible to set customize YouTube name without 100 subscribers. YouTube subscriber is not an easy process. You have to try hard for increasing YouTube subscriber. Make some quality video and trying to increase video viewers. More viewers will help to increase YouTube subscriber. 2. Associate your blog on YouTube channel. You need to associate your blog links on YouTube settings. After finishing association, you can add a card by linking your blog directly. 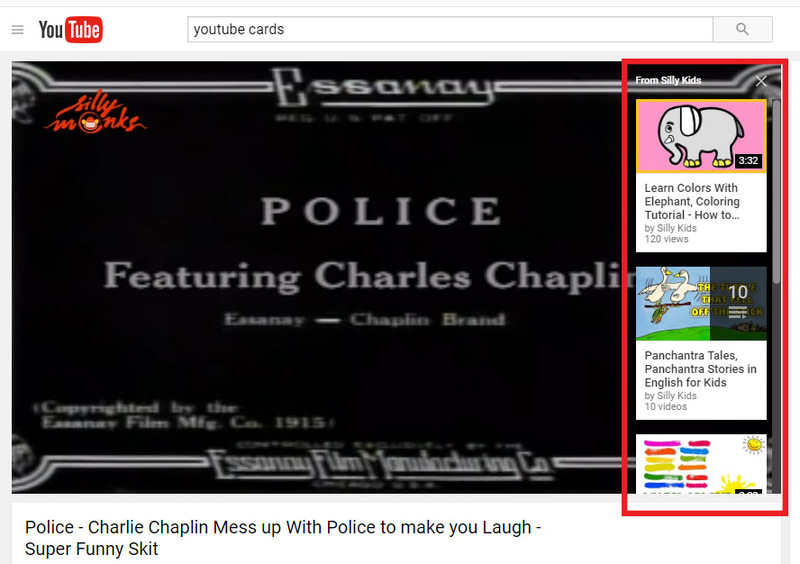 When a viewers watch your video, Card will expand and show the blog links. How to set YouTube card?? Go to YouTube Video Manager and click on Videos. Then click on the card drop-down menu. Now click on Link to an approved website. Now add your website link. 3. Embedded your video on a blog post. YouTube have embedded systems. You can add your YouTube video in blog posts with embedded link. It will drive traffic to your YouTube channel. When viewers see more video on YouTube, they will come again for reading details about your blog posts. How to embedded YouTube video on blog post?? For embedded any video on your blog post, first you have to like YouTube video. Now open three option, share embed and email. Now click on embedded options and copy the embed link. Now go to your blog post in HTML format. Paste the code into your post. Now retune on COMPOSE mood. 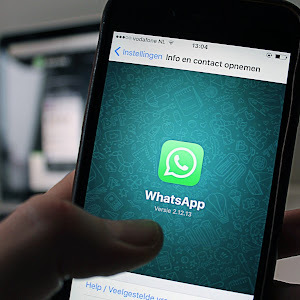 Your video is now embedded in the post. You can increase your post width and height by changing Lenten dimensions. Here the default width is 550. You can change it on 900. 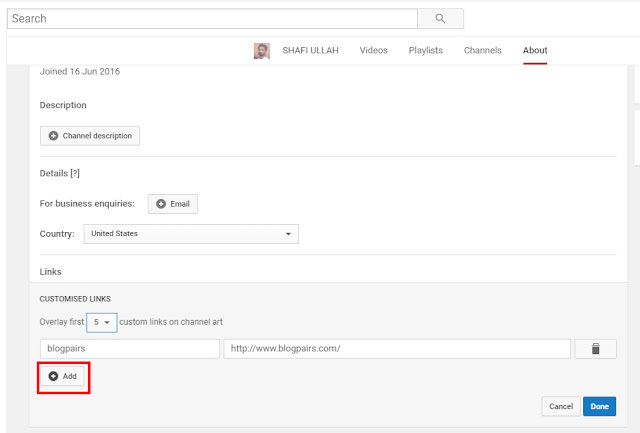 You can add your blog links on YouTube channel art section. So the visitors will click on your link when viewing your channel. How to add your blog links on YouTube channel art?? Go to your channel from my channel art and click on Edit links. Now go to add links and add your website link and name. You can add maximum 5 links. Supposed you add your blog links, Facebook page links, Twitter page links, Instagram links. 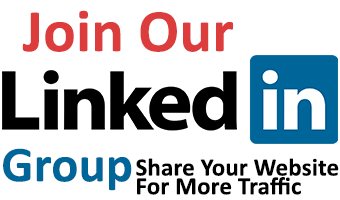 So when visitors watch your profile page, they will be interested in visiting your links. 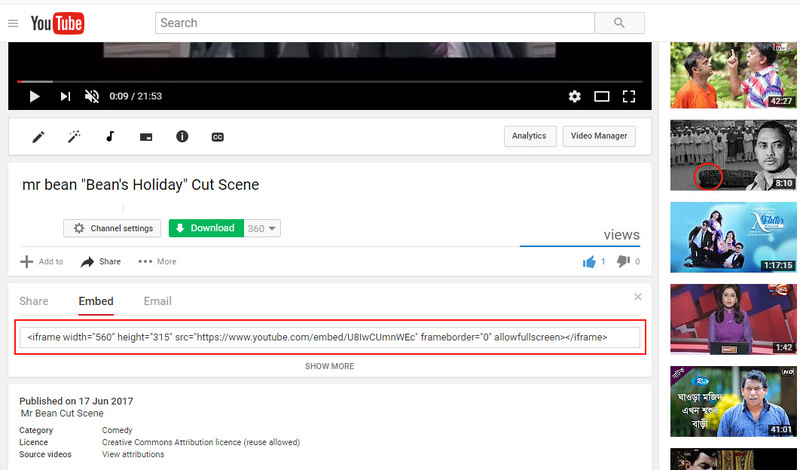 Include all of your social address on YouTube about section channel description. When a viewers watch your channel, he may try to visit about section for knowing more about channel creator. So visitors will drive to your blog and increase website traffic very rapidly. 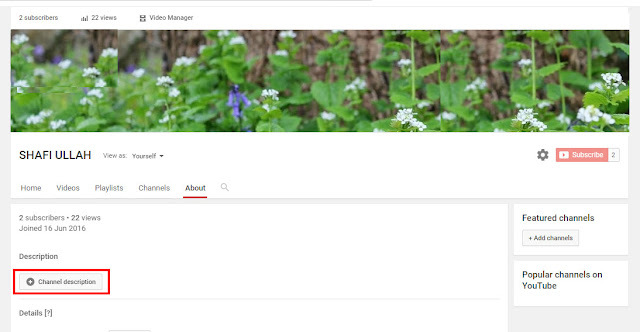 How to add the social address on YouTube channel description??? When anyone uploads a video on YouTube, he needs to add some description below the video. Supposed you make a video on Website traffic without SEO. So after uploading the video, add your blog links on a description for more information. Always try to make a video related to your blog topics. So many bloggers use this trick for increasing website traffic. Supposed you write a post on how to increase website traffic. Now you can make a slideshow on how to increase website traffic. Now upload this video in YouTube channel. All above trick will help to increase website traffic. I think you have some better options. Can you please share your ideas with us in comments section?? Hey SHAFIULLAH, I also have a YouTube channel. But I don't know how to increase website traffic by YouTube. Your post give me full direction. Hey SHAFIULLAH, I am from India. I regularly visit your blog for more information on how to increase website traffic. This post is awesome for increasing website traffic by YouTube. Thanks for sharing.